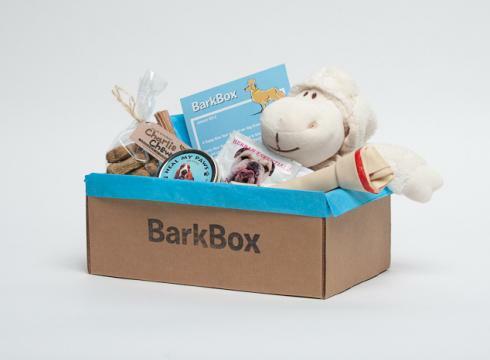 I just signed up for BarkBox! Looks awesome! If you want to sign up through me, click below and you'll get $5.00 off. Thanks! You are going to love it!!!!! Wow another Bar kBox and it isn't even Christmas. Must check it out. Have a terrific Thursday. Hope you get super duper cool stuffies in your barkbox! I am pretty excited for it to come next month guys! Looks fangtastic. Gotta take some pictures of what you get and your smiling face!